So January is often a month of looking back at the previous year...and realising that you have once again spent way too much money on beauty products! But we always find an excuse why we needed that one extra foundation or lipstick right?! 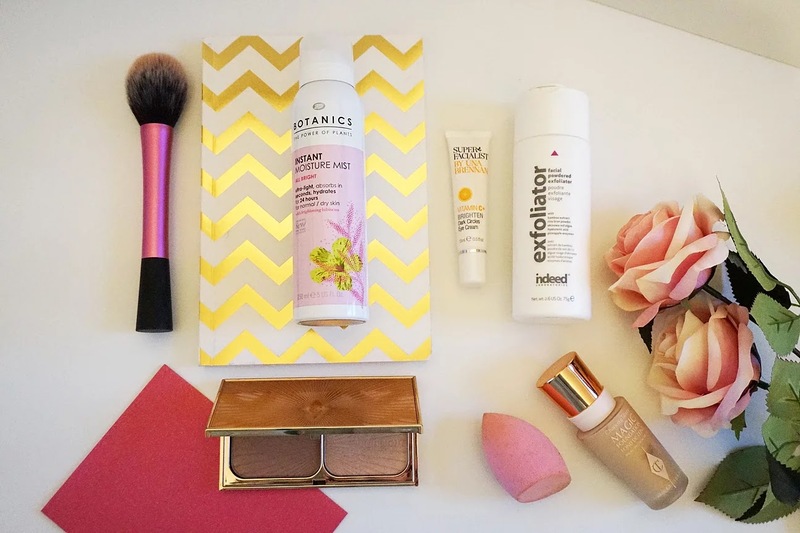 In this post I am looking back at my favourite beauty items for my face that I bought in 2016 and I am going to share five of them with you that I currently use. Part of my daily routine is to cleanse my face in the morning. As most of you know, cleansing isn't always enough, sometimes your skin needs more. A good way is to exfoliate. Exfoliating gets rid of dead skin cells, improves the blood circulation and gives you a healthy glow. 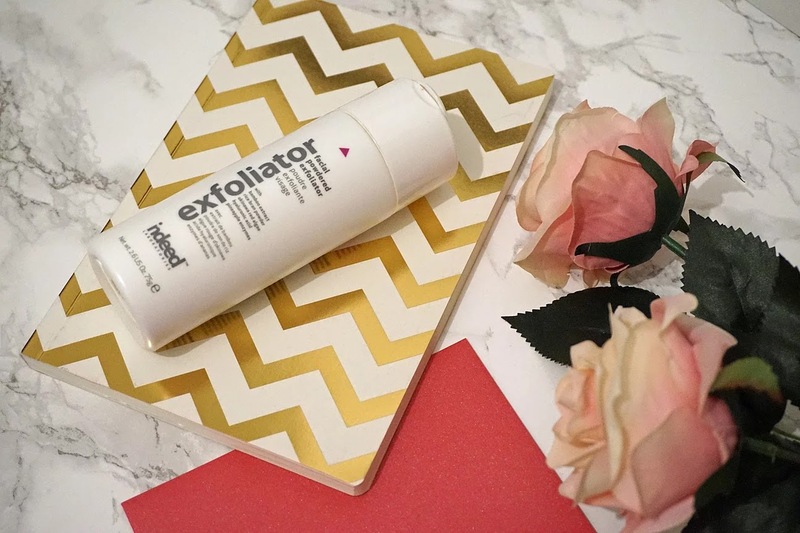 Unfortunately if you have very sensitive skin like me, you will find that most exfoliators are too harsh for you and that it is difficult to find one that works for you. That was my experience until I found this one. This is the Indeed Labs Facial Powdered Exfoliator - £18.99 - HERE and I absolutely love it! When you mix it with water it turns into a soft foam that is easy to apply with your hands. Massage into the skin for a couple of minutes, rinse and you'll end up with the softest feeling ever without damaging your skin. After I exfoliate, I like to hydrate my skin. 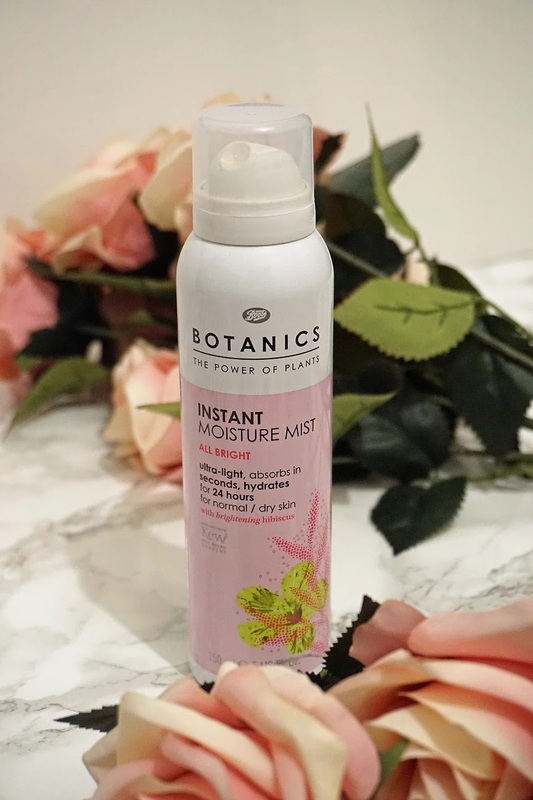 How to better do this than with the Instant Moisture Mist by Boots Botanics - £4.29 - HERE. Spray a small amount in your hands, rub together lightly and apply to your face. This spray feels super light, is quickly absorbed into the skin and it contains brightening Hibiscus leaving your skin looking healthy and ready for the new day ahead. Before I move on to makeup, I have one more skincare item to share. Unfortunately I often have bags/dark circles under my eyes. I have tried so many products and I think I have finally found something that works for me. 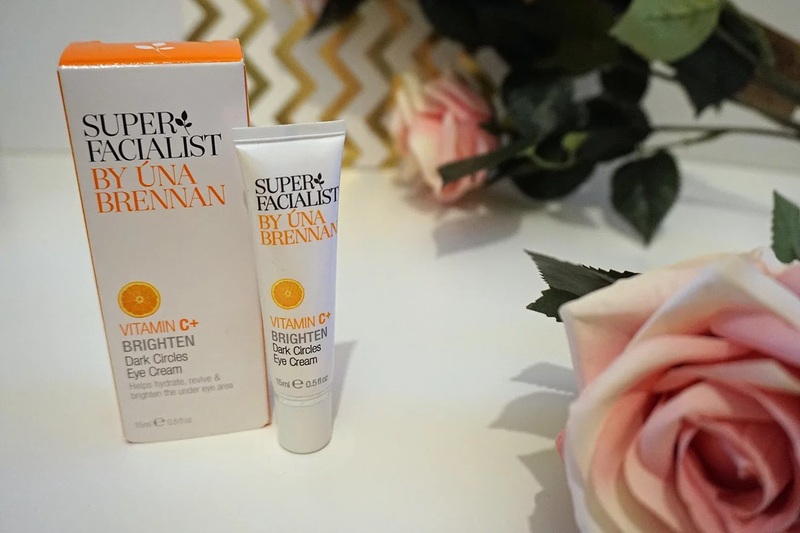 My go-to cream is the Super Facialist By Una Brennan Dark Circle Eye Cream with Vitamin C - £12.99 - HERE. As soon as I apply this under my eyes, I somehow instantly feel more awake. Definitely something I would recommend if you are suffering from dark circles. Ok so let's move to makeup. 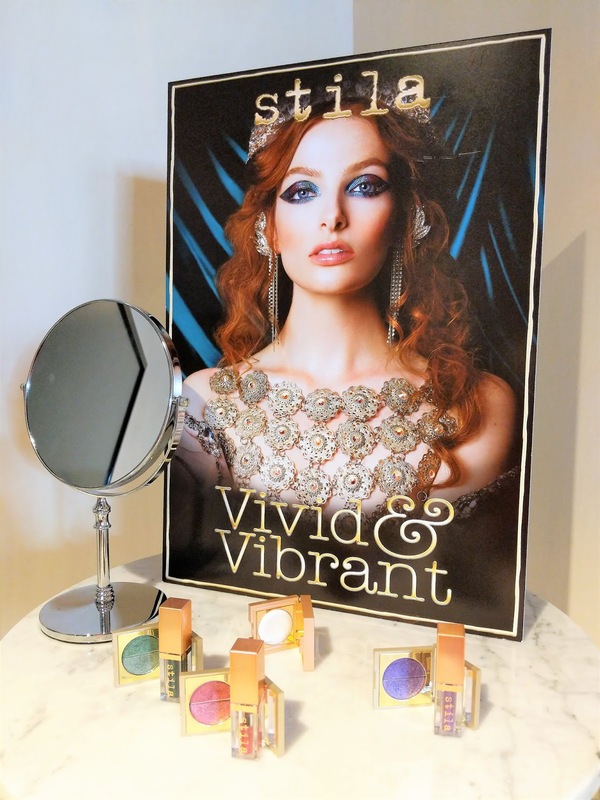 Earlier last year I went to a couple of beauty days at Selfridges and one of them was with Charlotte Tilbury. OMG I have fallen in love with her Magic Foundation! 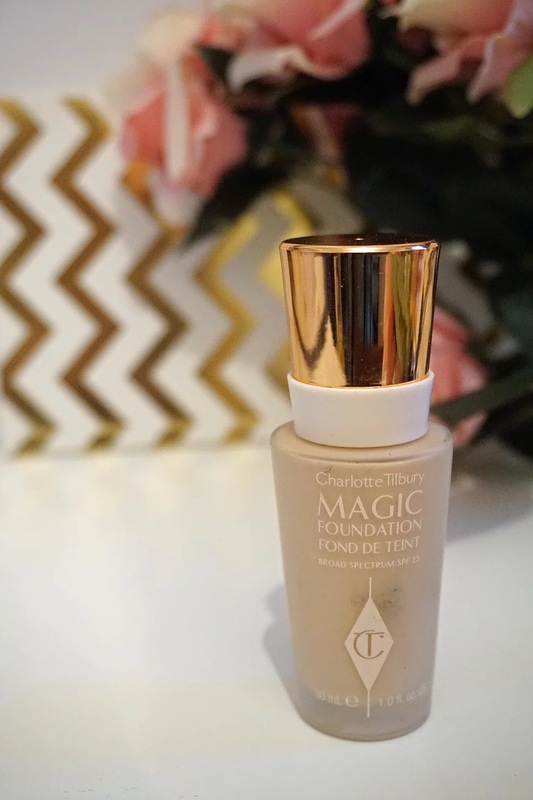 Charlotte Tilbury Magic Foundation - £29.50 - HERE I like non-cakey, light foundation and this one is just that! You can either apply a small amount for light coverage or build up to medium coverage. 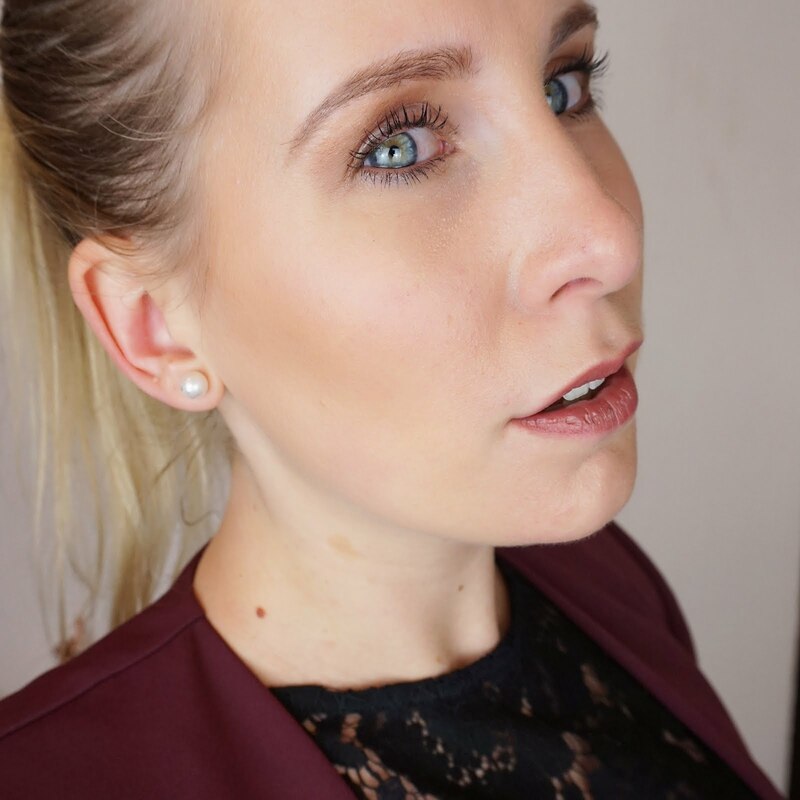 My daily go-to foundation which makes my skin look flawless! My final 2016 Face Favourite is again makeup and it's a combination of bronzer and highlighter powder I use to finish off/lightly contour my face. 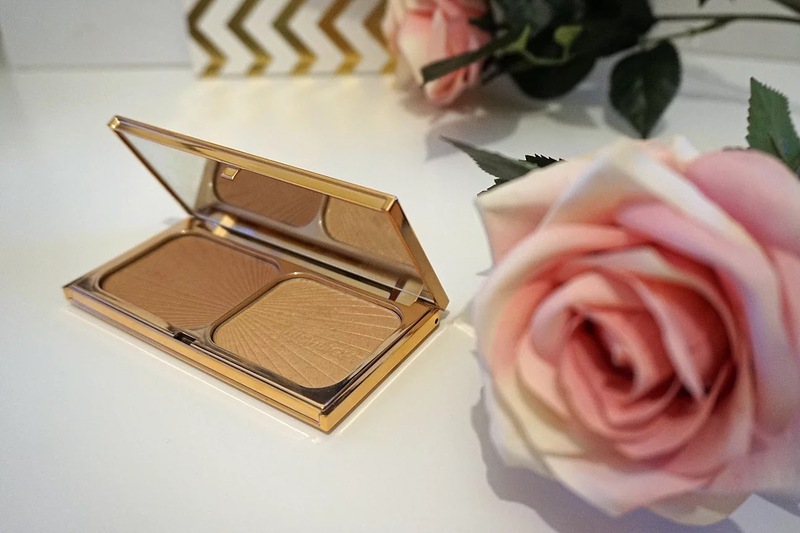 You may have guessed it, but it's the Bronze & Glow palette by Charlotte Tilbury - £49.00 - HERE. I just love the pigmentation! You really don't need a lot of product and it has such a natural finish. It's an absolute must-have! So there you have it, my five 2016 Face Favourites! Hopefully this post has given you some inspiration for 2017! I can't wait. Keep an eye on Beauty on Review to see what this years beauty has in store for us! Do you have any absolute favourites that you wish to share? Let me know by leaving a comment!